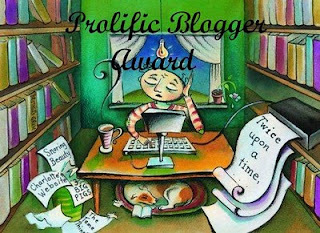 Thanks go to Art Scatter for giving me the Prolific Blogger Award. Mr. Scatter managed to write a clever and engaging post about a blog award, which should be worth some kind of award in its own right. For those who haven't visited Art Scatter, please do -- it is a real star among arts and culture blogs. The March issue of the Internet Review of Books is up now. It looks particularly tempting, packed as it is with reviews, including reviews of a new Winston Churchill biography and Ian McEwan's latest novel. They have also added a section for reviews of poetry books. Thanks Bermuda! You deserve an award for Prolific Commenter!